Now, foodies, if I ask you where would you go for Vietnamese restaurant, I know you will all have different answers. However, if I ask you where you would go for French Vietnamese cuisines, I am sure many of us would think about it for a while. I would not have a clue what French Vietnamese cuisine three weeks ago but if anyone ask me where I would go for such cuisines, I know what to answer, Madame Hanoi. 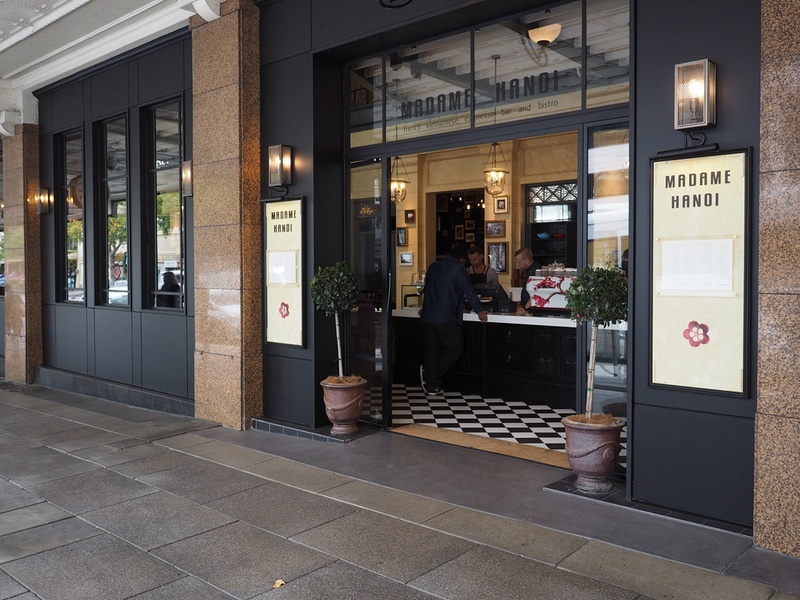 Madame Hanoi is founded by Nic Watt, a successful restaurateur worldwide and a famous chef in Europe and NZ. 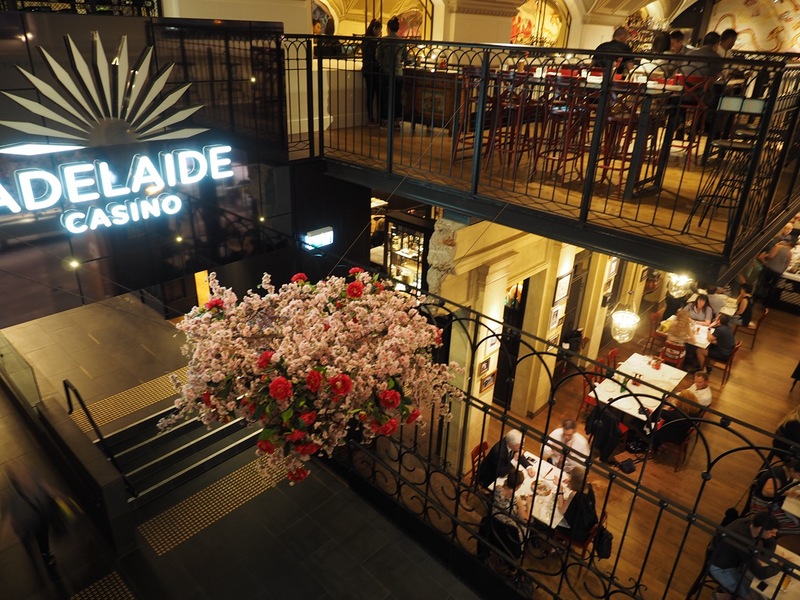 The restaurant is located in the Adelaide Casino complex with a fusion of classic Victorian times European and traditional Asian culture heritage decor. Entering into the restaurant would bring such a cultural and visual shock to either world – a good shock, a shock that one will remember for a long time. Did you see the lady in the paint in the above photo? 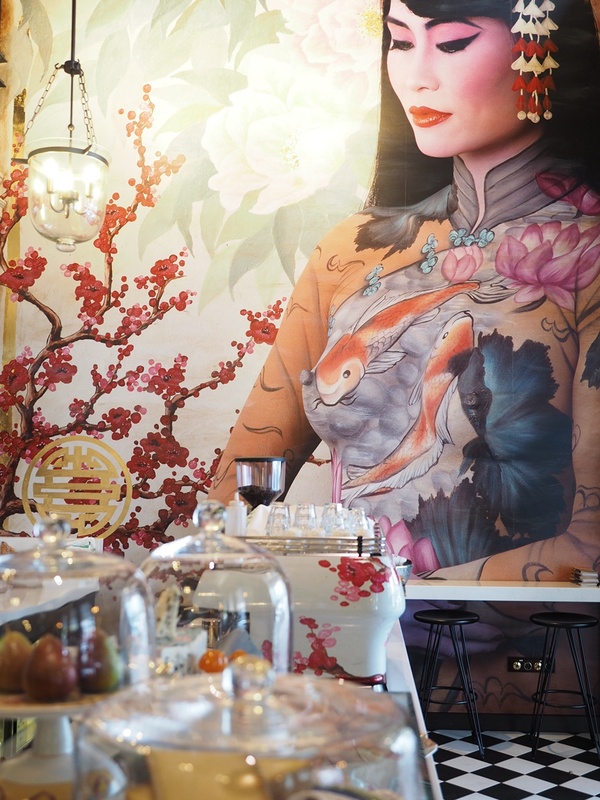 She is Madame Hanoi, a symbolic figure for the restaurant and an artistic expression of the Vietnamese culture at the French colonial time. The Ntc end of the venue was the actual restaurant but if diners are craving for drinks, at the back of the restaurant is a large bar. Diners can enjoy a pre-dinner drink to experience some refreshing flavour before sinking into the deep French-Vietnamese food culture. Have a look at what I ordered below! On the right is the Lumineux, a cocktail made with navel orange juice, passion fruit, citrus vodka and chambord. On the left is the cucumber gimlet. If you are like me who is a cucumber fan, then this got to be your drink as well! 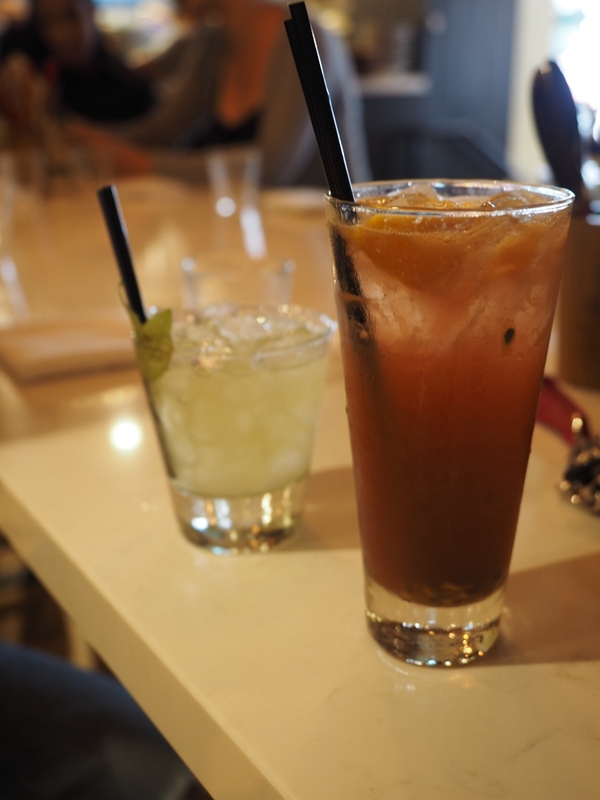 Lumineux (right), $17 and Cucumber Gimlet (left), $16. 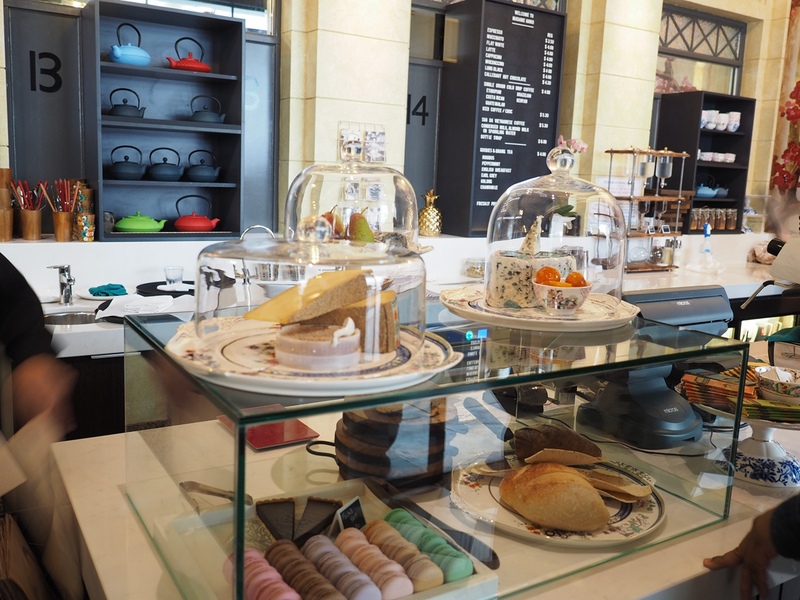 At the frontier of the restaurant, diners will also find macarons and various cheeses that they do not expect to find in a Vietnamese restaurant. Some of you might want to ask how the fusion of French and Vietnamese cuisines are possible. If you know there is British Indian cuisine, then French Vietnamese cuisine will not be strange for you. However, Nic’s philosophy did not come solely from the fact that Vietnam was once a colony of France. After Nic worked in senior positions in Michelin starred Nobu and the Park Hyatt in London followed by his award winning restaurant, Masu by Nic Watt in Auckland, Madame Hanoi is his personal project. The idea came from his honeymoon to Vietnam where he has been attracted to the Vietnam food culture which is highly influenced by French colonialism. Again, this is a shock but a good shock, one that comes from the collision of two cultures and one that combines the best of the two cultures. The venue also has a large upstairs section where diners can see Madame Hanoi in full and observe the busy traffic of the restaurant both at lunch and dinner. The restaurant is a walk-in venue only and takes booking for groups with 8 or more diners. 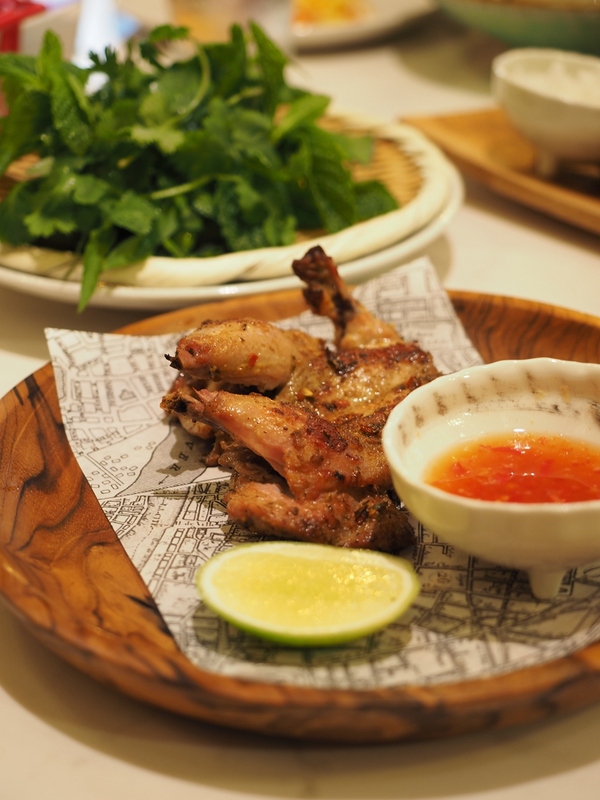 The menu at Madame Hanoi is designed for sharing. Food is not served in large plates as one normally see in their local Vietnamese restaurants. The menu is a fusion between traditional and modern and between east and west, with reflections of both of the cuisines. Diners will not only see Vietnamese food but also French dishes prepared in Vietnamese ways. 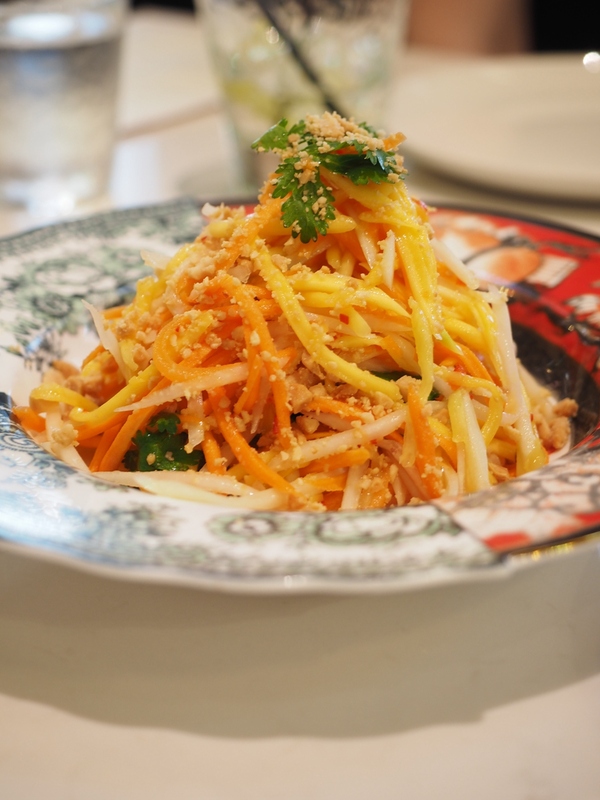 This dish is under “Street Food” in Madame Hanoi’s menu. Hervey Bay scallops are world acclaimed for its tenderness and juicy sweetness. The scallops are grilled to perfection and are very tender and moist on the inside. My regular readers would know that I love spices of any kind. 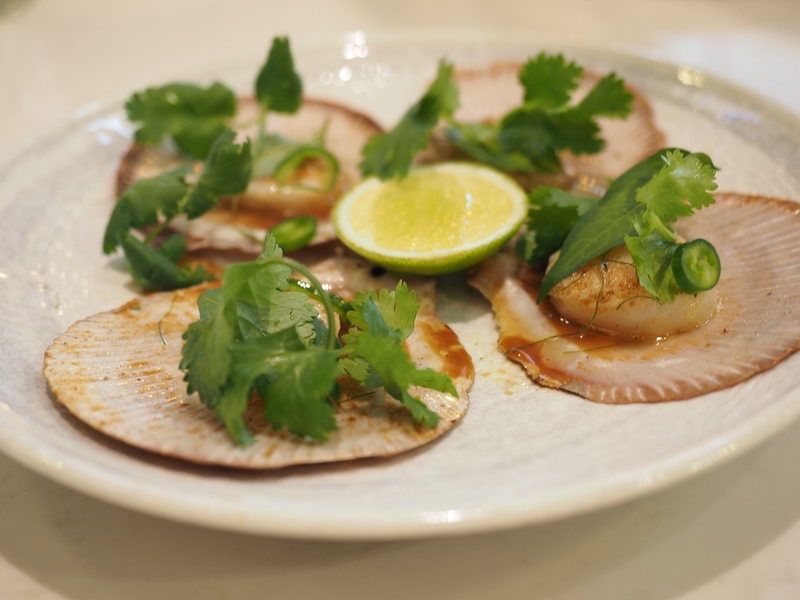 This dish fit in my appetite very well – the use of chilli, lime and soy helped the flavours of the fresh scallop to be lifted to the front end of the palate and stayed there for a longer period of time. This is a great dish to lead your appetite to trial other dishes. Delish! Goi xoai du du, $12.90. Now, this is a beautiful dish. A dish presented in a half-half presentation with piles of bright and attractive colors. Made with green mango, papaya, lime, peanut and coriander, the dish exhibit Asian salad fantasies while showcases a colorful artistic presentation. Did you notice that the plate was made of half-half style as well? So this is a perfect match too. The salad is very refreshing and sweet with limited acidity from the lime and again, it can act as a brilliant appetiser or entree to lead to full indulgence of other dishes. Tina really loved this dish too! This is a dish which perfect illustration of French cuisine in Vietnamese ways. 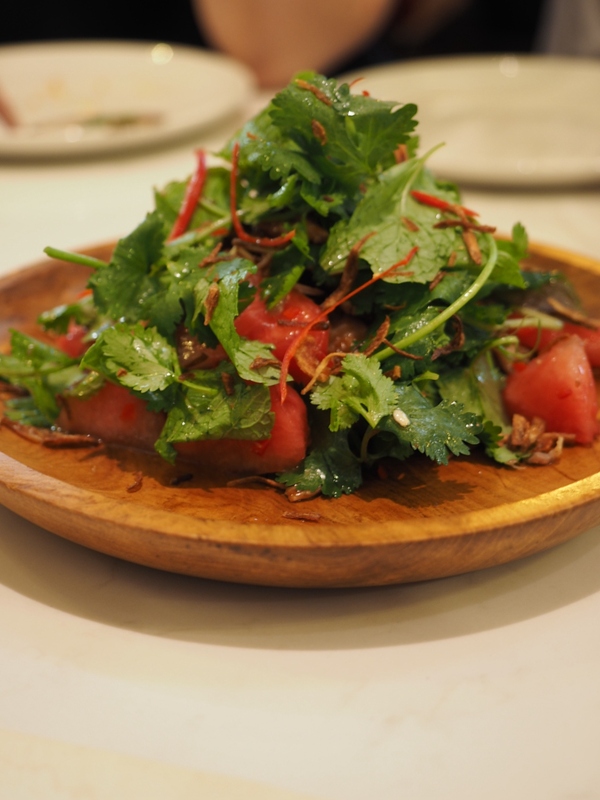 The crispy confit duck was tossed with watermelon and mint with hoisin sauce. Confit duck is a classic French cuisine item and the use of watermelon and mint is typical Vietnamese. I can’t express how much I loved this dish. The duck was cooked to perfection. When I cooked confit duck at home, somehow it is dry but the duck here, although being crispy, was still tender and flavoursome. Nic is such a gentleman and during our conversation he pointed that their duck was confited in duck fat which preserved all the essential juiciness in the meat! On the other flavours, the addition of watermelon is great and this provided fresh fruit flavours which neutralised the duck flavour well. In fact, I never know watermelon can be enjoyed this way and it certainly provided me with some ideas for my future dishes. There are also sauces provided on the tables and I was absolutely in love with the chilli sauce which fully enhanced the flavour of this dish. lWell done and this is a must must try! 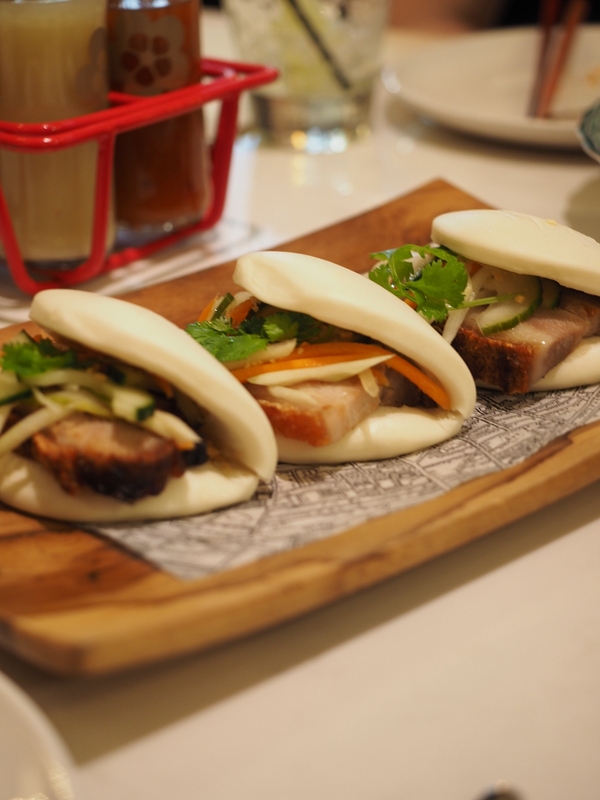 If you like the open bao theme, this dish is a must-try. The soft dough complemented with the roasted pork really well in the mouth, especially the crunchiness and the softness matched greatly with each other. The green papaya, carrots and cucumber salad filling introduced refreshing flavours to combine with the slightly oiliness of the pork. This dish again is another fusion item on the menu. Tartine is a classic French open bread sandwich but Nic has taken this to a completely new step. 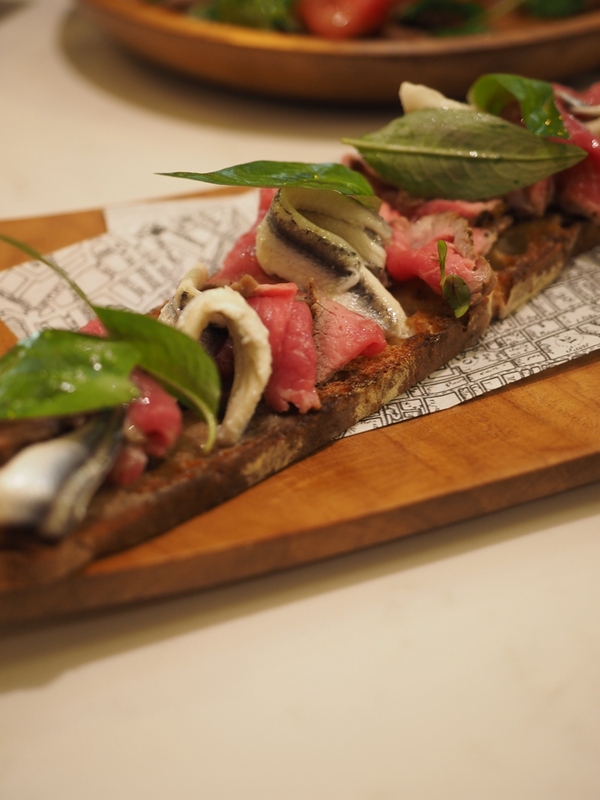 The sandwich was topped with rare beef and white anchovies, which is my daily favourite antipasto variety. The beef is very clean on the palate while the anchovies added extra saltiness to the dish which made it just great, but the addition of fresh mint is really a master piece as this lifted all the flavours to obvious taste sensations on the palate. Brilliant dish! A must try! This dish is an interesting concept. I love soft shell crab – but not only at the level of “love” – I should say that I am completely addicted to softshell crabs. I tried to do deep fried ones at home but never got good results because I can’t find fresh soft shell crabs in the market. However, the softshell crab in Madame Hanoi is just being simple and perfect! 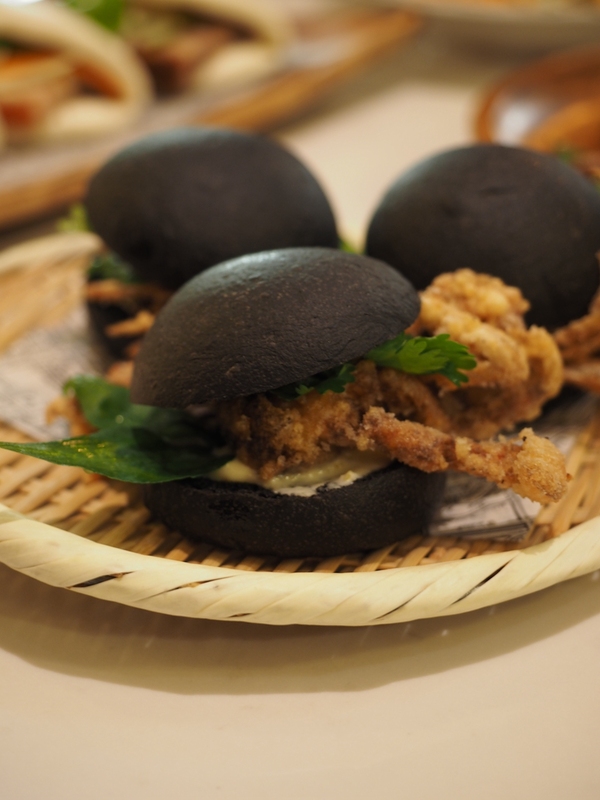 The squid ink dyed bun and the crunchy soft shell crab could make me cheerful for a whole day already but the addition of Vietnamese mint and chilli lime mayonnaise made the dish to be worth for any foodie to walk across road to explore the flavour. It is simply good and a master piece! At this point, all at the table were full but this dish fled onto the table from the “Favourite” section of Madame Hanoi’s menu. When arrived, the golden baby chicken gave a great array of aromas which were so fragrant that I can’t wait to have a quick bite. The meat was tender and juicy and the oiliness was limited especially with the addition of lime juice. The mint and sweet chilli sauce improved the overall flavour of the dish too. Great and must try! Again, in this dish tradition met modern. 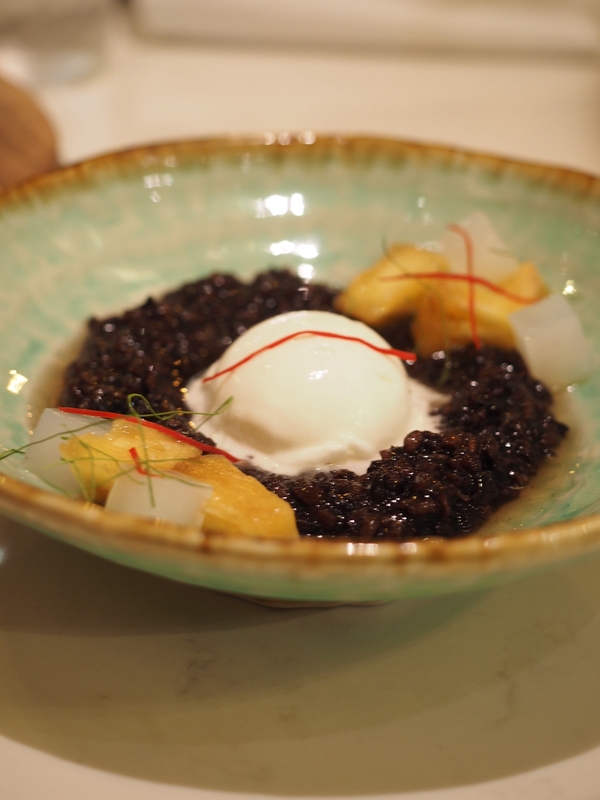 I used to be a great fan of black sticky rice some 10 years ago when still in Uni but you never think one can bring sticky rice pudding to such a good level with balanced sugar and aromas as well as exotic flavours and the smooth texture. Well done! 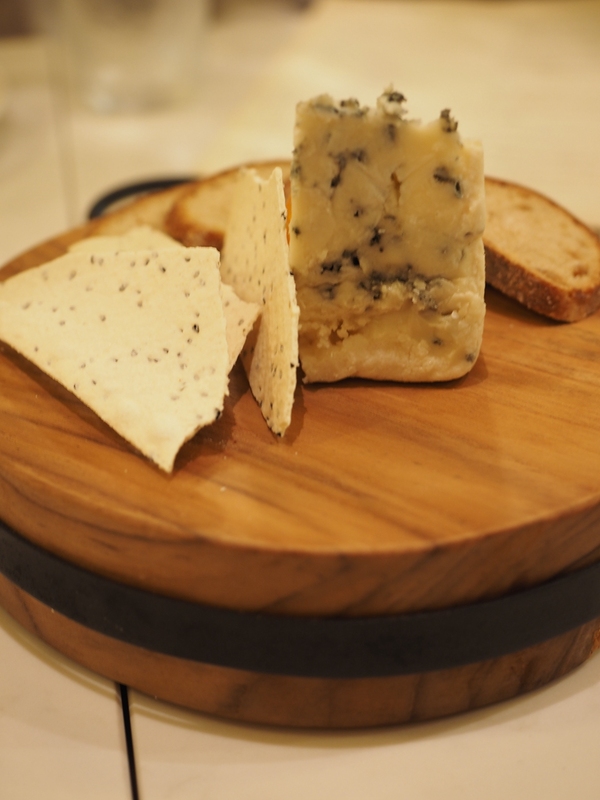 The dinner finished off with some tasty French cheese from the front counter. 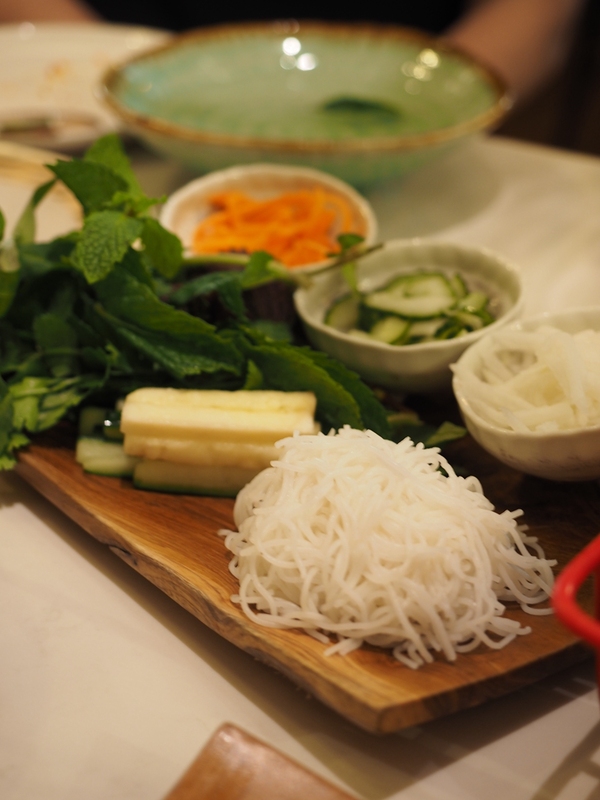 If you enjoy the beautiful flavours of traditional Vietnamese cuisine, you will have to try Madame Hanoi out. The restaurant is not a simple try-to-fuse-everything restaurant. 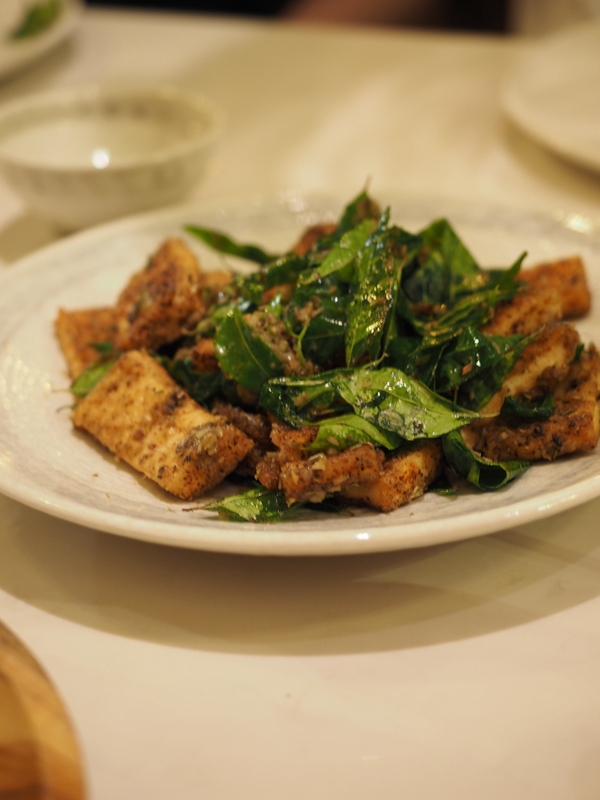 It actually developed the concept of Vietnamese cuisine further and showcased real French influences. Nic Watt is such a genius in his field and diners can easily experience the top quality and food easily in the restaurant. Since our visit, a couple of friends and colleagues of mine have been stimulated by my word and said they really enjoyed the concept. So do us! 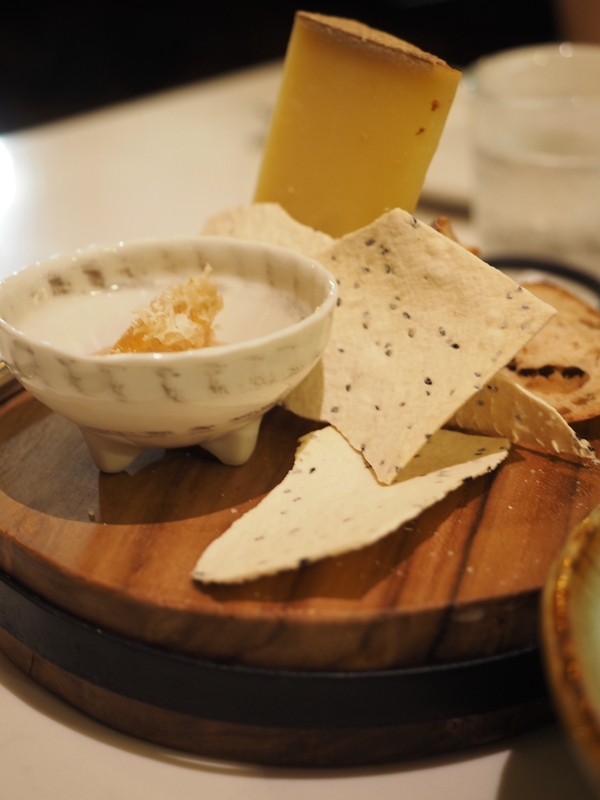 This is a must-try restaurant in Adelaide, a city full of culinary surprises. Would I return? Yes, for sure. I am thinking about their “let us serve you” concept. Maybe I will have a go at it on my next visit. Until the next post, enjoy foodies! 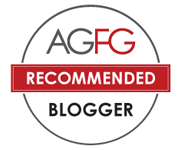 Disclaimer: Adelaidefoodies.com was invited to Madame Hanoi but all opinions are our own. 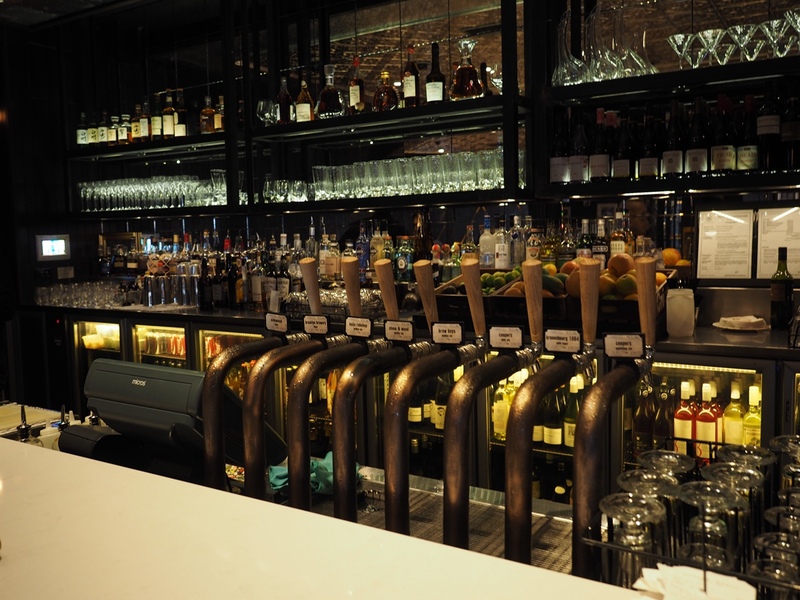 Great write up Xin and look forward to experiencing Madame Hanoi’s one day! You get what you pay for, I guess. This place is very expensive but food is damn good.